All Things Marketing: Discount offered for Chamber members. Discount will vary based on materials used and quantity ordered. Americu-CU: Provide free credit counseling, provide business insurance, payroll services. Benefit Consulting Group, Inc.: Analysis of current coverage’s and assistance with benefit implementation. Benefit Specialists of New York: Health insurance benefits for Chamber members, including Health, Dental, Vision, Life, and Disability. BME - Business Machines & Equipment: 10% savings on purchase of new Canon copier. BRIDGES Mccasa: Discounts on Drug Free Workplace, Diversity & Respect in the Workplace, Smoking Cessation Training/Workshops. D’Arcangelo & Co, LLP: 10% Discount applicable to the standard hourly rates for the 1st year as a client for Chamber members. Dec & Benson CPA's, P.C. : 15% off tax return preparation, payroll, bookkeeping, and consulting services for the 1st year as a new client. Edible Arrangments: Coupons for a percentage off on arrangements. Gustafson & Co.: 1/2 hour free initial CPA consultation for new clients. Hummel’s Office Plus: Customized Ordering/Office Supply Discounts. Madison Bistro: $5 OFF Dinner on Wednesday evenings, valid thru July 25th. 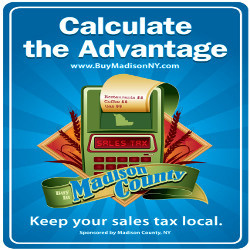 Mazzullo & Sons Carpet One: Absolute best price possible offered to fellow Chamber members. McGarvey Endodontics: Free exam and x-rays for patients referred from primary dentist for root canal treatment. Oneida Area Day Care Center: 5% discount for new enrollment of a child for first 3 months. Oneida Dispatch: Advertising discounts – Call for details. Oneida Floral & Gifts: 10% off purchases. Paychex: 25% off for first year. Discounted set-up fees. Scharman Propane Gas Service, Inc.: 30% off residential FIRST FILL of your new tank. Sherrill Manufacturing: 10% off Liberty Tabletop flatware. Contact Chamber Office for online code. Silver City Studios: 30% off audio/video recording and production services for chamber members. Vernon Downs Casino and Hotel: Half off room rental and 10% off food and beverage for banquet space. Vindigni, Betro & Walton: $50 off legal services.